The CTC's Cyclists Welcome scheme has existed since CTC first formed in 1878. Once issued to all CTC members as the 'CTC Handbook', the list not only aims to help people find somewhere cycle-friendly to stay, but is also designed to promote cycle-friendliness amongst accommodation providers. 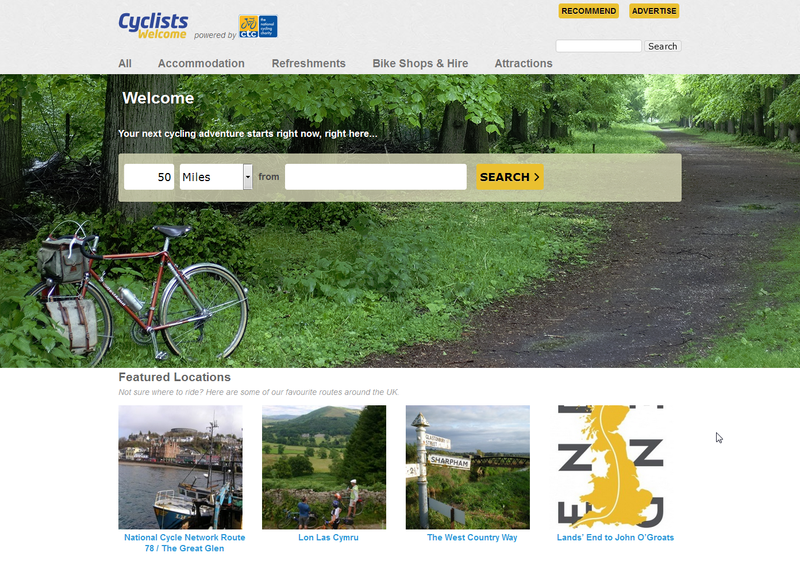 Listings include details of a variety of accommodation types, cafes and cycle hire operators.